Earlier this year I was invited to a Luxco event in St. Louis. At some point I was offered a pour of Rebel Yell Single Barrel. It’s been a few years since I’ve tried it, but I’m not the biggest fan of the standard Rebel Yell. I remember it being a bit one dimensional. (I have a bottle and will give it a fresh tasting soon.) Presented with this opportunity I thought, “what the hell.” The whiskey instantly struck a chord with me. I liked it. I REALLY liked it. 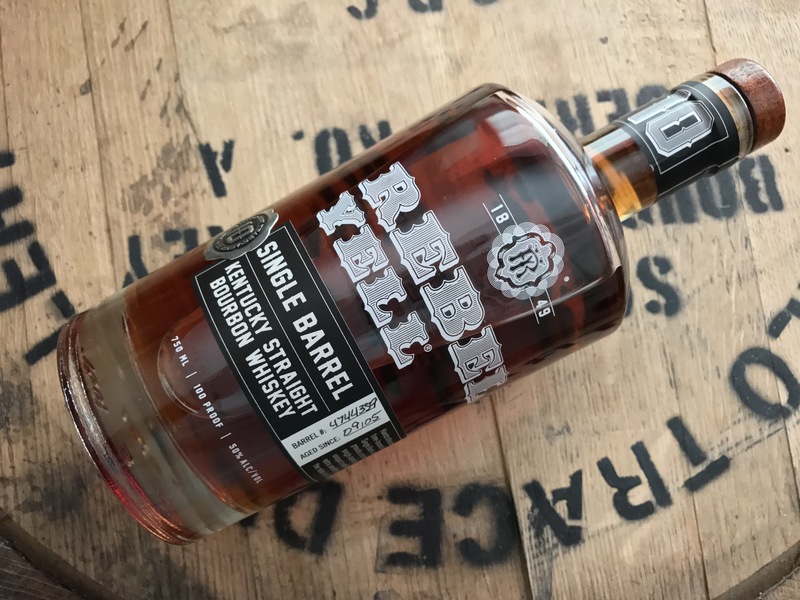 Rebel Yell Single Barrel is aged 10 years and is bottled at 100 proof. That’s a long way from the standard bottling. As far as I know, it still shares the same wheated mashbill and is most likely sourced from Heaven Hill. Luxco states there will be about 2000 cases of Rebel Yell Single Barrel in 2016, and double that next year. My sample is from barrel # 4744359. The nose is vibrant (but not young) with aromas of vanilla pudding, honey butter biscuits, light toffee, and sweet corn, with a feint floral note buried beneath. Kettle corn hits the palate first, followed closely by vanilla bean and carmelized brown sugar. Wood spice begins to pick up on the mid palate, providing a touch of cinnamon and clove. The finish starts sweet, but soon transitions to slightly-astringent, thanks to the oak tannins. This is a really easy-drinking bourbon with character. Why is this so much better than the standard Rebel Yell? I think the answer is simple: age and proof. The standard bottling is at least two years old and 80 proof. This single barrel offering is 10 years old and 100 proof. Luxco has a hit on their hands with this one, so long as there are consistently good quality barrels in their inventory. Rebel Yell 10 year single barrel is priced right too, coming in at about $50 a bottle. Make no mistake – this is no bottle shelf whiskey. I said it before, and I’ll say it again: I think Rebel Yell Single Barrel is the best whiskey Luxco currently has on the market.